The fully-automated container terminal involving a total investment of 14 billion yuan, or 2 billion US dollars, started operating at Shanghai's Port of Yangshan earlier this year. The automated terminal, the fourth phase of the Yangshan Port project, has been designed to handle up to 6.3 million standard containers, making it the largest automated port in the world. Its unique energy consumption structure means it puts out virtually zero carbon dioxide or other emissions, while allowing cost savings of up to 70 percent through savings in labour costs. Yu Jun is a technical director with Shanghai Zhenhua Heavy Industry, the world's largest port machinery manufacturer. He says they've achieved technological breakthroughs in developing automated transport at the Port of Yangshan. "This system used 130 automation transporters. We have broken the monopoly of global suppliers in port automation solutions and are the world leader in such technologies." 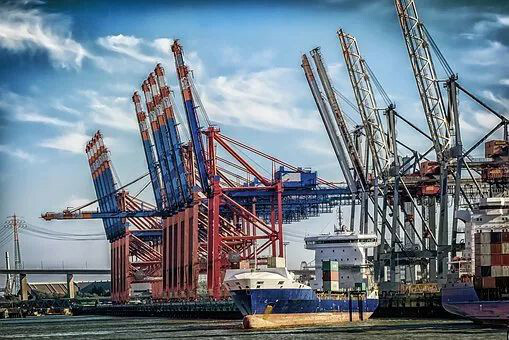 The port machinery manufacturer says through remote control technology, intelligent container terminals will have a better performance and lower operational costs than traditional ports. Chen Xuyuan is director of the Shanghai International Port group, which runs the Yangshan deep water area. The port manager says technological innovation lies at the core of the development of the port. "We set the goal to build the port with leading technologies. We have set up a national port technological center and mapped out a three-year development plan to help us achieve the goal. Meantime, green development is a priority. Energy consumption decreased by an average of 5% per year over the past decade." To support the development of Pudong New area in Shanghai, Chinese government built an international shipping center there in 1995. Chen Xuyuan says that move was the start of turning Shanghai i﻿nto one of the world's most respected port cities. "We should stick to reform and opening up, which will help our corporation continues to achieve quality growth. We are the first port company that was listed and introduced foreign investments. Our corporation gained development vitality and market competitiveness through further reform and opening up." The Port of Shanghai was the only one in the Yangtze River Delta region to be on the list of the world's top 100 ports two decades ago. Back then, the number of containers it handled accounted for less than 2 percent of the global volume. Thanks to years of policy support and development, the Port of Shanghai surpassed the Port of Singapore to become the world's largest container port in 2010. For CRI, this is Guo Yan. Our President announced at the meeting that we were to set up branches in many other cities. They helped us to ma﻿p out a long-term plan. Then father consoled me that: "The cold winter is doomed to turn into warm spring and no one will be the loser all his life." I shall stick to my decision.